Travefy Professional is a software tool built for travel professionals to collaborate and create beautifully-branded quotes and itineraries for their clients. At Travefy, we love to hear how the software has brought success to travel businesses around the world. Below is Scott Waldron’s story, founder of Gravitate Travel. With over 30+ countries visited, Scott Waldron, founder of Gravitate Travel, has a great deal of insight when it comes to crafting complete and memorable travel experiences. 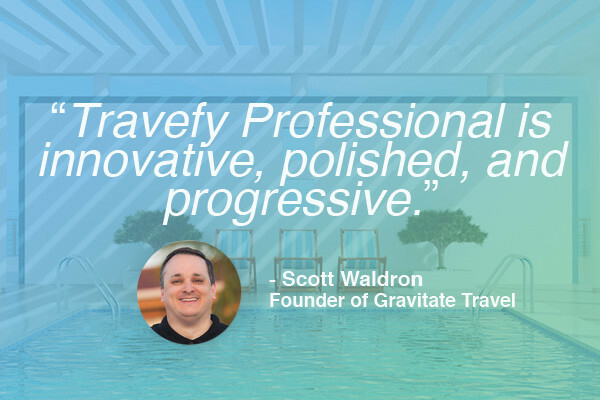 Gravitate Travel is on a mission to provide something better than just the average cookie cutter travel experience, which is why Travefy Professional was the perfect fit. 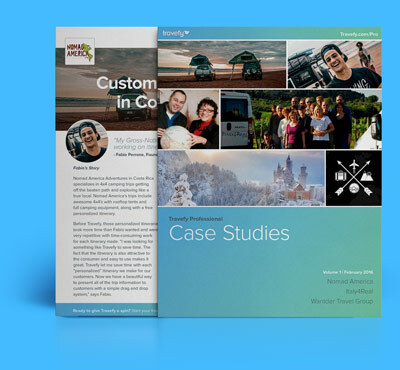 “Clients like Travefy’s ease of use, uncomplicated, no ad’s trying to sell them something, just clear concise travel details customized to their needs,” says Scott. Another one of Scott’s favorite features is the messaging component of the Trip Plans app. “I want to be the first to know if they need something, like change a dinner reservation, add on a new tour. I don’t want to leave money on the table,” Scott says.